Does it feel like something’s missing in your career? Are you feeling under appreciated at work or simply craving more? Is it time for you to land a job you love AND earn more doing it? 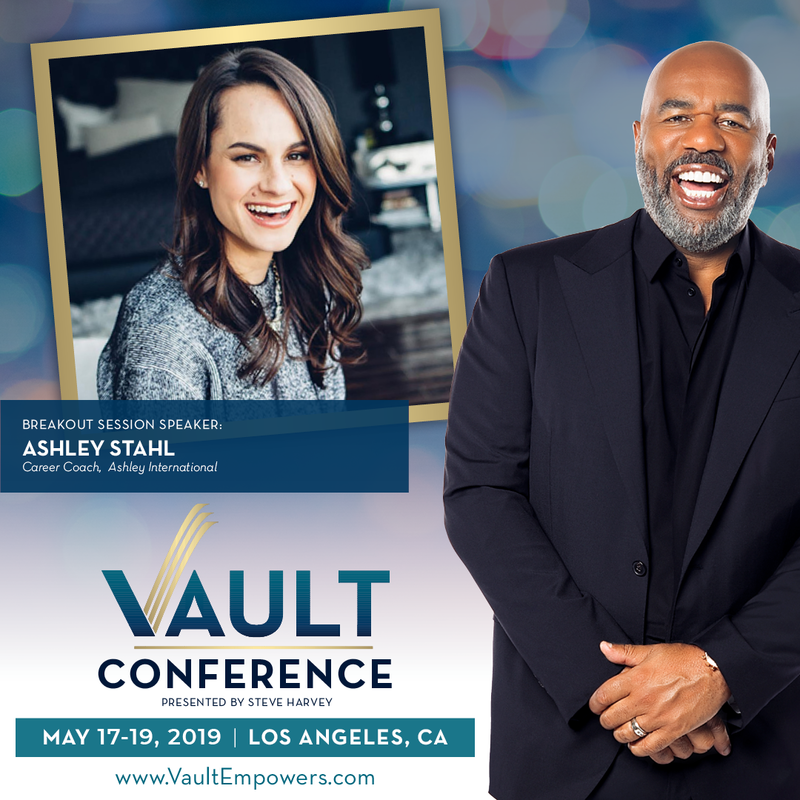 Ashley Stahl will be teaching specific steps for your next career move at my Vault Conference. Ashley is counterterrorism professional turned podcaster, forthcoming author, and career coach who has helped thousands of clients find their purpose, build their confidence and land more job offers. How to get clarity on your career purpose. The steps to create your professional elevator pitch. Insights on how to get your resume noticed. How to leverage your network – online and offline. The skills to master your interview. Strategies on negotiating a 20-50% salary increase. Her session is a can’t miss if you are ready to land more job offers and increase your income. Now is the time to grab your spot! Early registration – and your chance to save – ends March 31st. 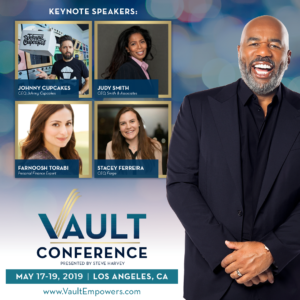 Happening May 17 – 19, 2019 in LA, this conference brings you some of today’s most inspiring thought leaders and experts around business, careers, wealth building and personal development. Get all the details and register at VaultEmpowers.com. Let’s continue to create success…together.